This 1995 book explores what the Victorians said about the Stuart past, with particular emphasis on changing interpretations of Cromwell and the Puritans. It analyses in detail the historical writings of Henry Hallam, Thomas Babington Macaulay, Thomas Carlyle and Samuel Rawson Gardiner, placing them in a context that stresses the importance of religious controversy for the nineteenth century. 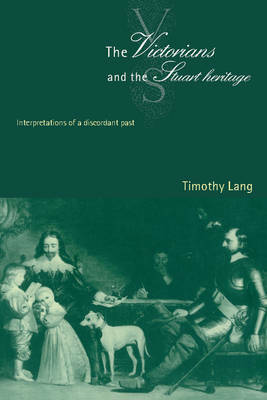 The book argues that the Victorians found the Stuart past problematic because they perceived a connection between the religious disputes of the seventeenth century and the sectarian discord of their own age. Cromwell and the Puritans became an acceptable part of the national past only as the English state lost its Anglican exclusiveness. The tendency to accommodate Cromwell and the Puritans, particularly in the work of Gardiner, thus reflected a process of nation building that sought to remove sectarian divisions and which reached its climax as the Victorian age came to its close. Buy The Victorians and the Stuart Heritage by Timothy Lang from Australia's Online Independent Bookstore, Boomerang Books.